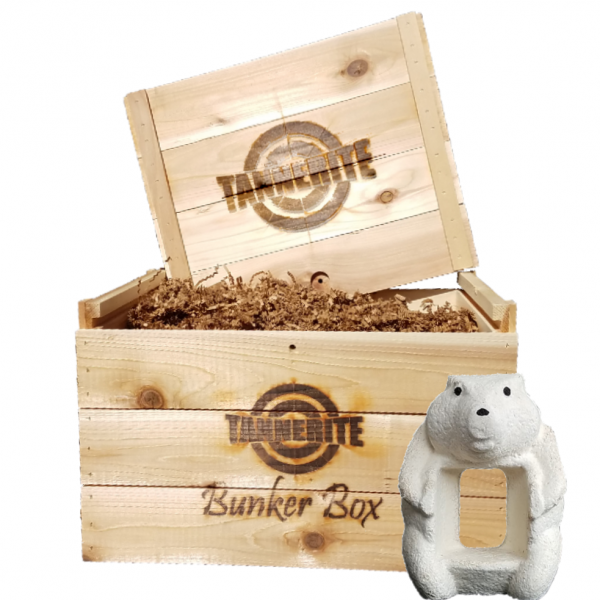 Our Bunker Box is now available with a Tubby target included! 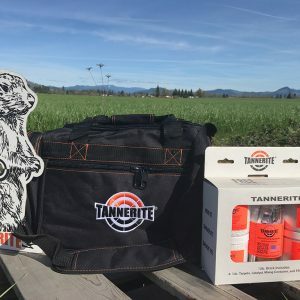 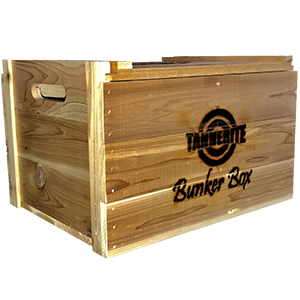 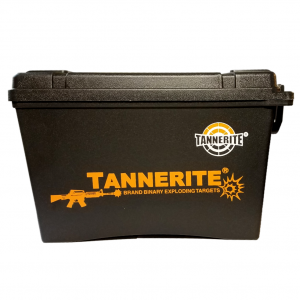 Bunker Box: Made from western cedar this beautiful wooden box is adorned with the Tannerite® logo both on the front and the removable lid. 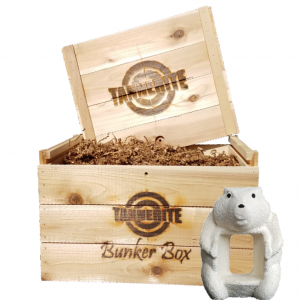 *Hint* The lid makes for a super cool plaque! 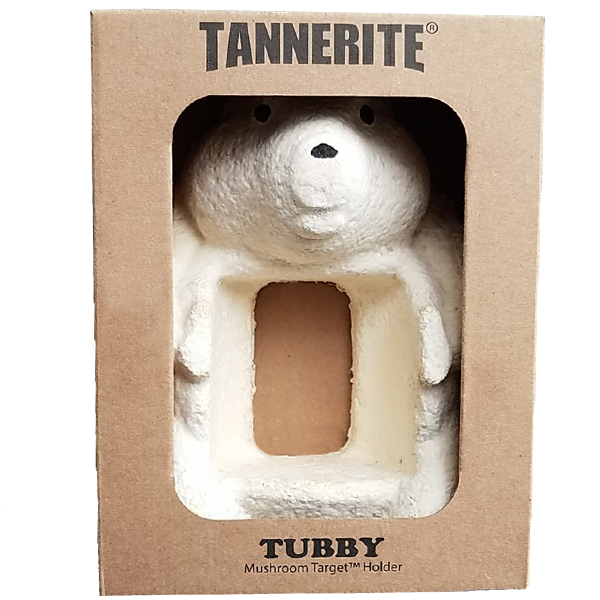 Tubby Target: Biodegradable stand up target holder for use with 1lb. 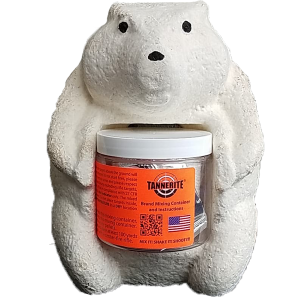 or 1/2lb. 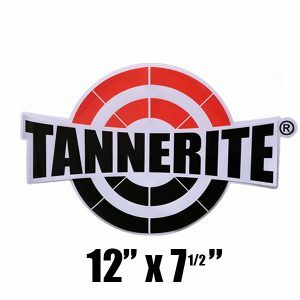 Tannerite® Brand Binary Rifle Target. 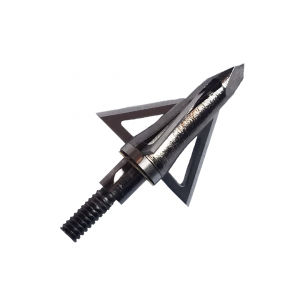 (Binary rifle target not included.). 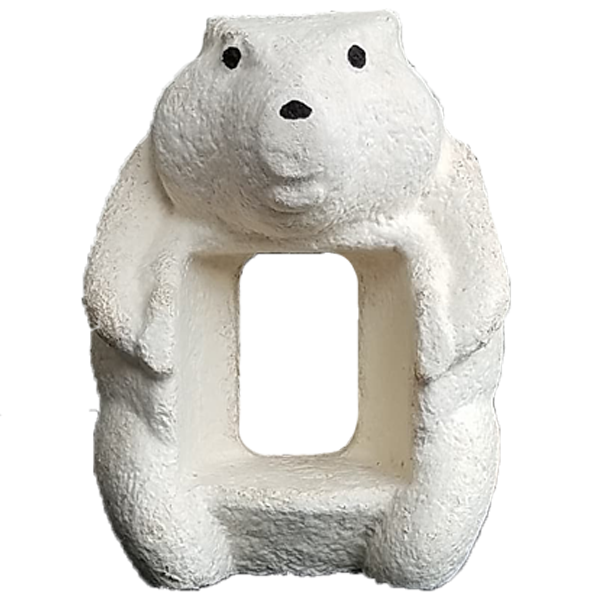 Each Tubby Target Holder has been grown from Ecovative's Mushroom® Material. After the target has successfully been initiated the Tubby will harmlessly compost on site as the material is fully biodegradable.